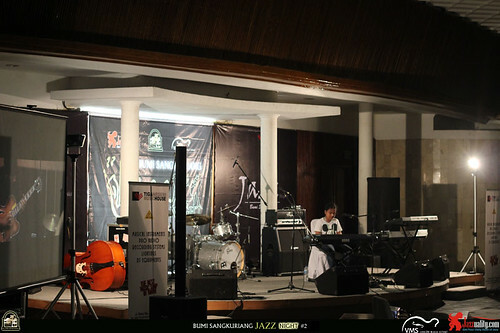 Bumi Sangkuriang Jazz Night is a new regular jazz event, located in the Balai Pertemuan Bumi Sangkuriang at the upper side of Bandung. 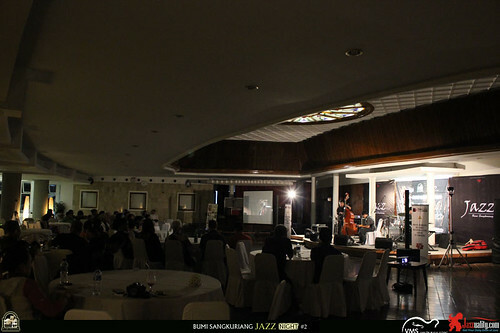 It is served inside a luxurious grand hall of Concordia, but presented friendly and intimate, providing a perfect setting to enjoy live jazz concert. 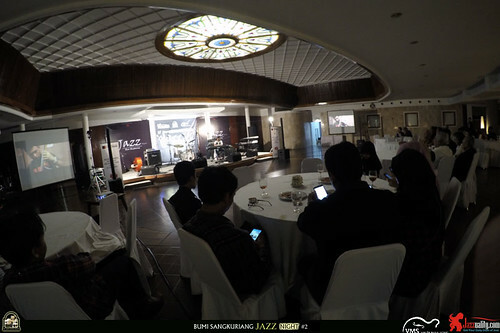 The bands perform on a medium-sized stage at the front area near the entrance. 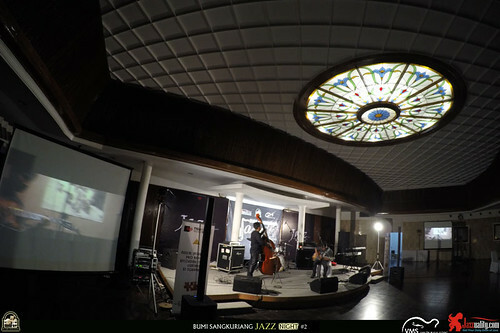 As you might probably know, this building which was established in 1957 is one of the earliest homes of jazz here in Bandung. 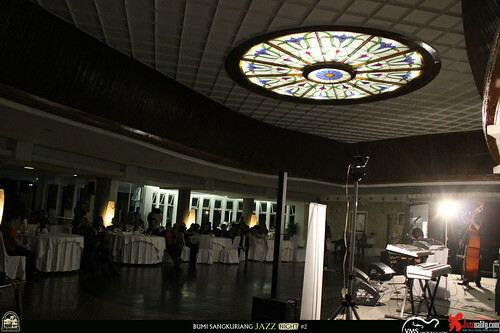 The history of regular jazz gig in this building began in 1981 which stayed on for 9 years. Almost a decade later the regular event was back again and stayed for 2 years. Then it was off, and on again for a while, and then it’s gone for 5 years. 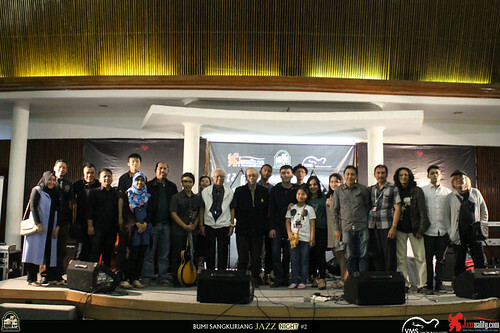 Jazzuality.com is proud to bring it back, collaborating with Venche Music School (especially the founder Venche Manuhutu and Kanggep Kusuma) and some other supporting partners. This is the report of the Bumi Sangkuriang #2. 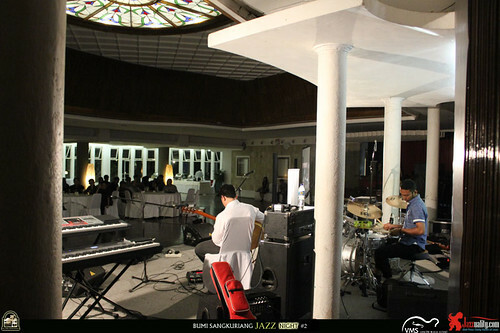 Following the premiere held in January (read the report here: http://jazzuality.com/jazz-event-report/bumi-sangkuriang-jazz-night-1-the-report/), once again we invited one of the best jazz musicians from Jakarta. If last time we got Robert Mulyarahardja, this time another jazz guitarist who served both as active musician and lecturer happily involved in this edition. His name is Dion Janapria. 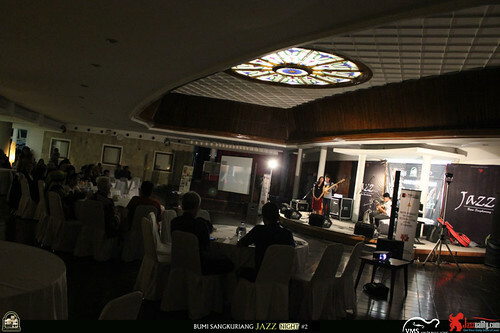 Two other sessions were given to Bandung talents. One is a trio who speaks jazz fluently, and the other one is an amazing little girl aged 9 with 10 fingers hunger for jazz. They are Continuum and Nadine. Nadine opened up this edition. 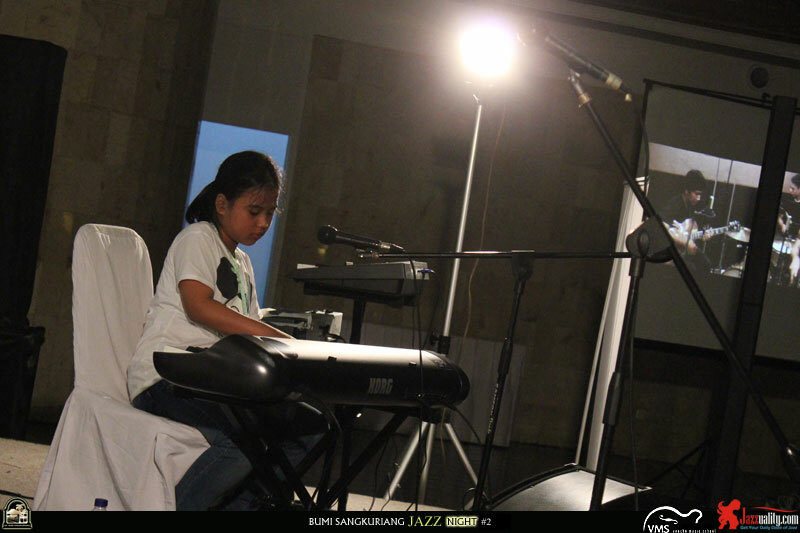 This 9-year-old musical prodigy has been making waves recently with her beyond-her-years skills in Piano. 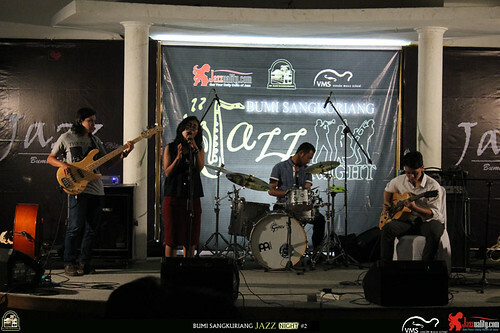 She has paticipated in our events, but this is her first time to grace the Bumi Sangkuriang Jazz Night. She is cute, innocent but once she sits behind the piano, that’s a different story. She gained a lot of applause right away from the first song from Charlie Parker, “Billy’s Bounce”. After greeting everyone, she carried on with Dizzy Gillespie’s song from the early 40’s, “A Night in Tunisia” before pinning Stevie Wonder’s hit, “Isn’t She Lovely”. Not easy songs to play for a girl her age, yet she did it very, very well. 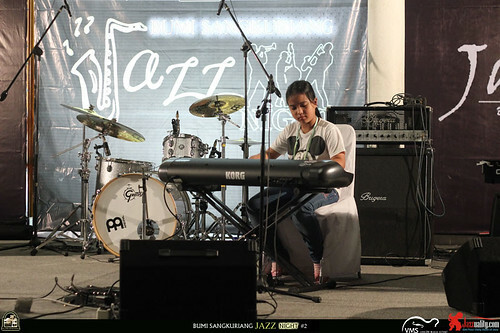 For the last song, Nadine played the song of Wayne Shorter as the final presentation entitled “Footprints”. Nadine started learning not that long ago, but she clearly improves faster than normal. She now can compose on her own, playing anything she found in Youtube to fit her style. Surprisingly, she doesn’t make it simple but already able to play it in jazz harmony with delightful swing. Both of her hands are equally strong. While her right hand dances freely over the keys, her left often supports with strong sense of rhythm. we are proud that she began her musical journey on our stage a year ago and we will continue our support. 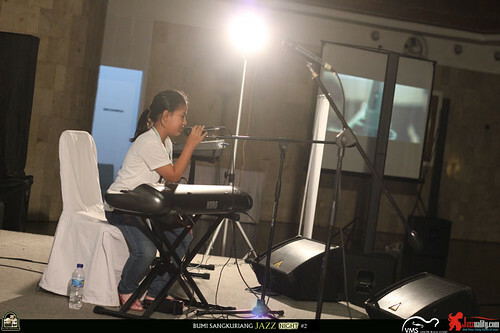 Nadine brings magic in jazz, lets give her a chance to be the next Joey Alexander. Can she? Yes, absolutely. We are honored that the founders of two previous regular jazz gigs ever made in this building came to this second edition. We already invited Hari Pochang last month to join us on stage and shared the memory of the past, back to the time when his Jazz Break was on during 1981 to 1989. 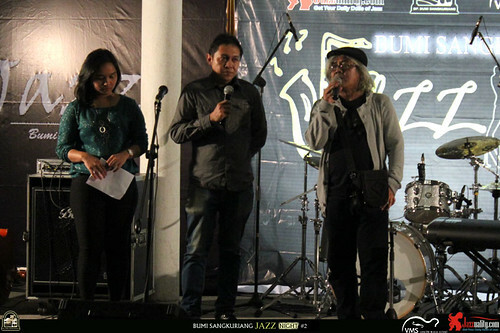 This time we invited Dwi Cahya Yuniman, the founder of solid jazz community who ran Jazz Break Revival from 2008 to 2010 in Bumi Sangkuriang. He shared us the story from that time range. It’s really an honored for us to have their coming and support. Continuum is the second performer of the night. 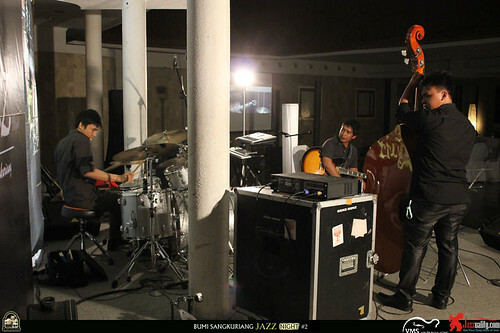 Continuum was established in february 2015 consisting of guitar-bass-drums connection and occasionally, an additional vocal when needed. 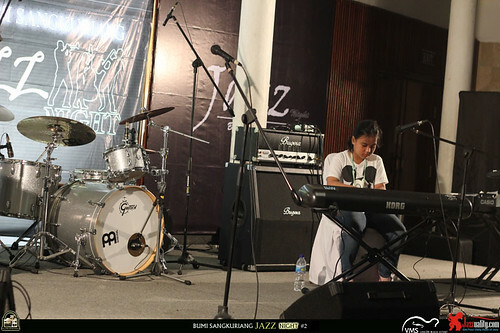 The band consists of three players: Willyam Yuzaq (drum), Hajar Asyura (guitar) and Satya Bayu (bass). 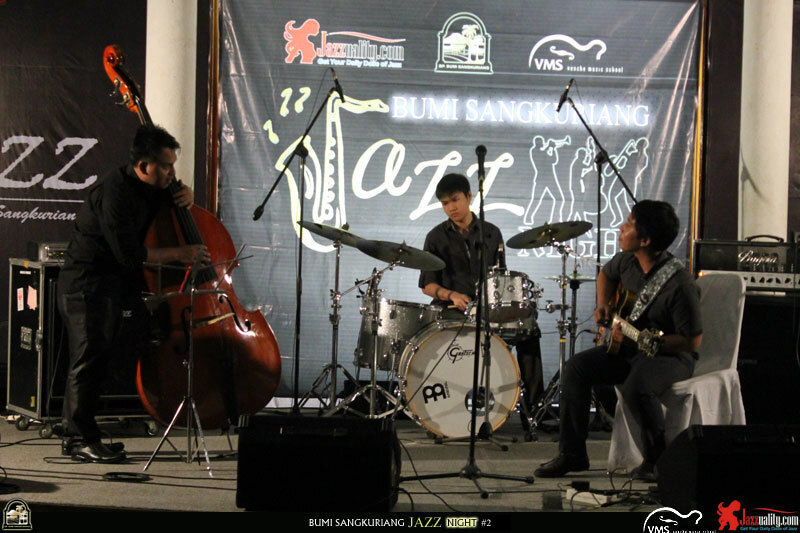 We knew them individually as good musician who are passionate with jazz from a couple of years ago, but this is the first time for us to have them as one unit in our event. Unfortunately Satya Bayu couldn’t come tonight. So his place was taken by also a good bassist, Dyva. Continuum started sailing with a song from John Meyer, “Stop This Train” which gave different nuance. They are like harmonic laboratory who produced the beauty of jazz by involving their whole instruments on stage. 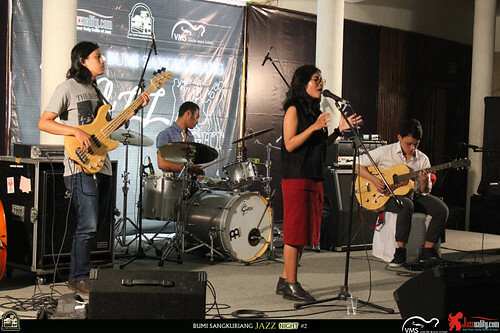 They featured a female singer Mirna Nurmala afterwards which directly gave a heartfelt and emotional song, “Distance” originally by Emily King. Mirna has a unique voice, smooth, soothing and deep. 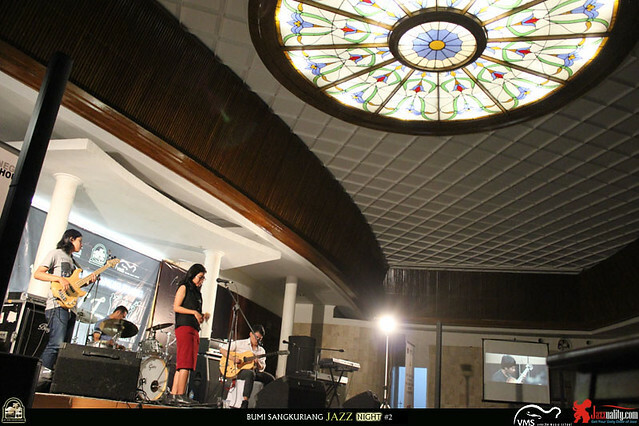 Next, she sang the first track from Monita’s new album Dandelion titled “Kisah Terindah.” They kept the folk music but infused some jazz too. Shania Twain’s “You’re Still the One” appeared in totally different arrangement, and then ended with The Jongens’ “Miss Jones” in which Mirna demonstrated her ability in humming throughout the song. Continuum develops unique sound of jazz by fusing a bit of new age and even healing music within their songs. You can tell that they play jazz, but somehow it sounds slightly new. That’s how Continuum is, based on their performance tonight. Beautiful play by three musicians inside this band. Their instruments are also complimenting one another. Good chemistry between them, standout skills and ability to arrange. Plus an additional vocalist with good voice and charisma, Continuum gave out a lovely performance. 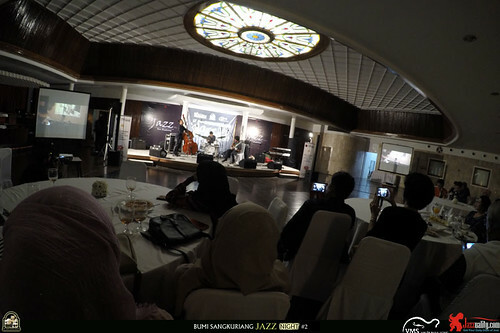 Not many pure jazz bands found in Bandung today, so Continuum has a very important mission to preserve the sound of pure jazz in Bandung and our national music scene. 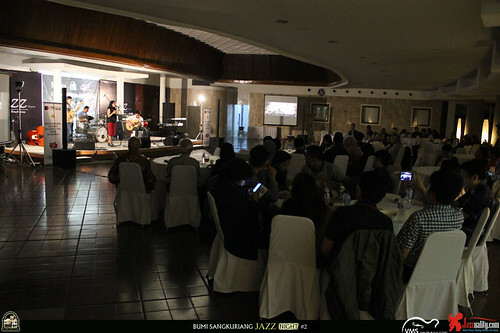 Looking at their ability to play jazz the right way, speaking it fluently and their passion, we know that this band has good chance to succeed. The future of jazz in Indonesia lies in the young lions, Continuum is simply one of the bands we could hope for. 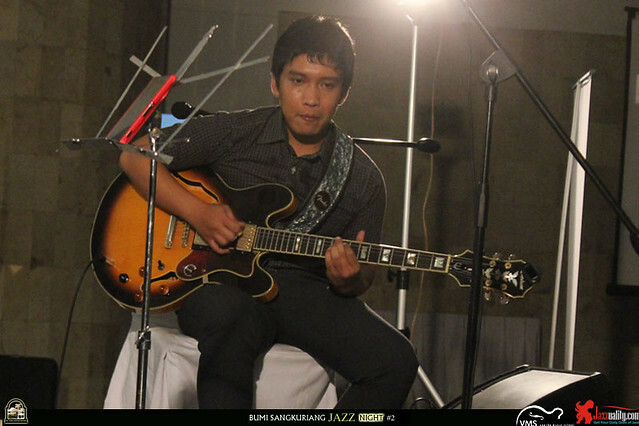 Following our move to feature one or some artists from Jakarta, this second installment featured another superb jazz guitarist, Dion Janapria. 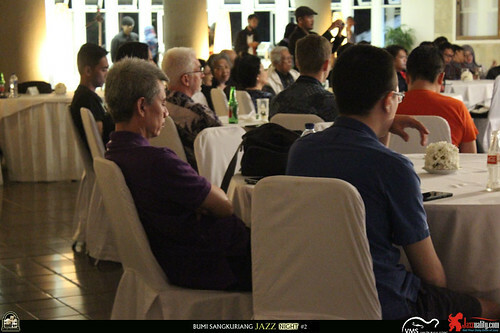 Dion is relatively still young, but he is one of the most important names to mention if we talk about jazz in Indonesia today. He studied under Marcel Karreman and Eef Alberts at Hogeschool voor de Kunsten Utrecht, and Martijn Van Iterson at Amsterdam Conservatory. He has been contributing a lot either as an active musician and teacher. He has been going through such illustrious career, ranging from his involvement in the eclectic Tao Kombo Collective Messkeepers sessions in 2009 to the experimental Aksan Sjuman’s Committee of The Fest in 2012. He’s also known for his studio works and sessions for Sandhy Sondoro and Rieka Roslan among others. But he’s not only a sessionist, because he also maintain his solo career by releasing his critically acclaimed album in trio format, “Silver is the Color of Blues”, released in 2014. In the educational side he is a music teacher at Djazz Music School in Jakarta, a lecturer and jazz guitar coordinator at Pelita Harapan University (for Jazz Guitar, Jazz History and Improvisation Concepts) among others. For the very first time we got this superb jazz man in our event. 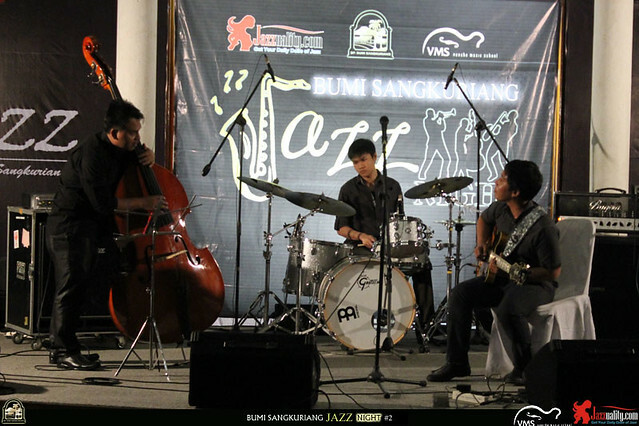 Joining him were two musicians from Bandung, Aries Ardiansyah (upright bass) and Alman Naufal (drums). Dion, Aries and Alman began with “If You Were the Bell”, a song from the 50’s which became jazz standard since it was featured by Miles Davis. Alman showed his smooth side by using brush sticks. One of Dion’s most favorite song, “My Ideal” brought the audience into even more romantic mood. “Fried Pie Blues” was tasty and uplifting. And then another beautiful rendition came with a classic from 1928, “Softly As In the Morning Sunrise”. Dion’s guitar playing was very ellegant and full of feeling. The audience gave him applauses many times, also to the rhythm sections especially after they did cool solo during the songs. They went swinging faster with another classic from the 30’s, “Beautiful Love”. Jerome Kern’s “All the Things You Are” kept all the beauty of swing right in pocket, serving a memorable ending. It was supposed to be the end, but the audience actually wanted some more. Dion, Aries and Alman fulfilled the wish by playing one last song, another gem from the 30’s written by Jimmy McHugh, “I’m in The Mood For Love”. Cool long tradings were given in this song, much appreciated by the audience. 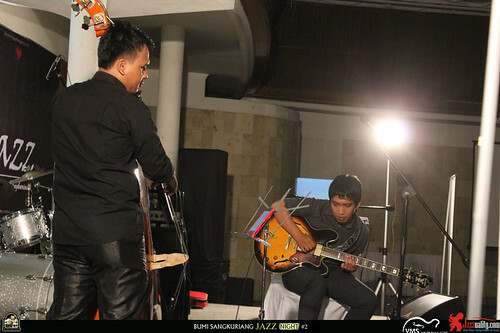 Playing with Dion Janapria should give benefit to Bandung musicians. They can gain more experience and learn something out of it. 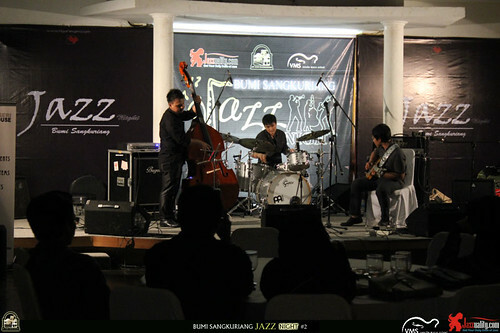 As for Dion, we hope he enjoyed playing with young musicians that he hadn’t played with before and also enjoyed playing for Bandung jazz lovers. “I’m very happy playing with them. They are awesome.” he said. It’s surely nice to hear the clean soothing sound of Dion’s guitar inside a big ballroom hall of Concordia. In a hope to provide an event where young musicians could learn from, we hope those who came could learn something from Dion Janapria. As for the campaign of ‘bringing jazz back home’, Dion and all the participating musicians tonight have fulfilled our mission in style. We hope by attending this concert people would be more aware of the diversity of style and compositional techniques inherent, particularly enjoyed the perfomances brought by all multi talented people and learn something from them. The expression of audience tonight summarize the skills and quality of all musicians performed in this concert. 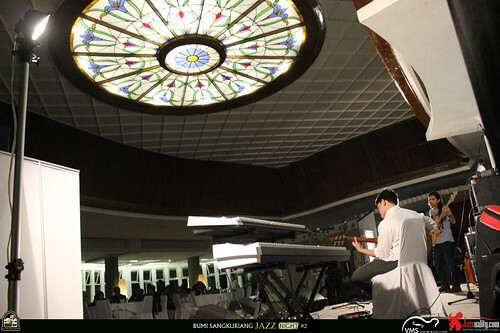 On a personal level, this concert offered us a revitalizing perception in jazz and the limitless harmony it can create. 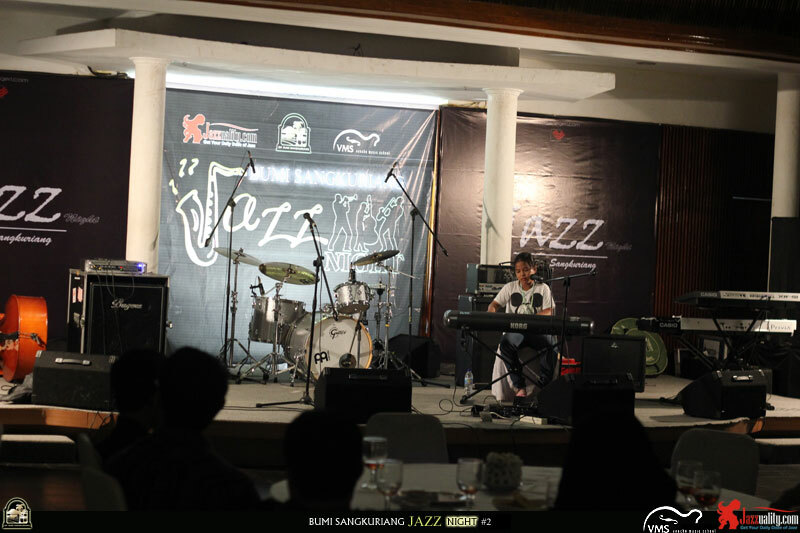 Apart from this, we also developed a deeper experties for the diverse talents among local jazz musicians and for the musical experts to find more ideas and alternatives in expressing themselves into music. 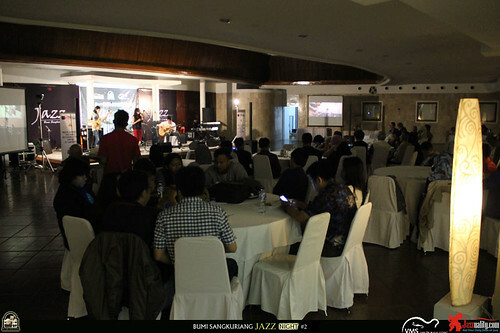 This is one of the biggest benefits we can get by attending jazz concert, and we would do our best to provide so. Thank you for coming and supporting, we hope to see you again next month. 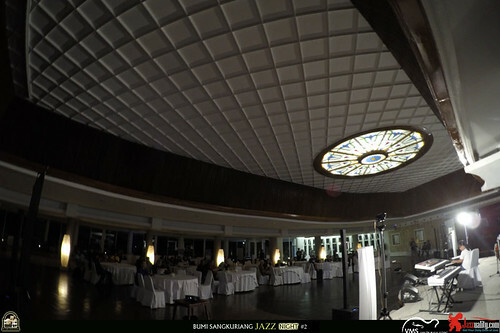 Jazz on, guys!